Home Comment Where do we draw the line on drawing the line? 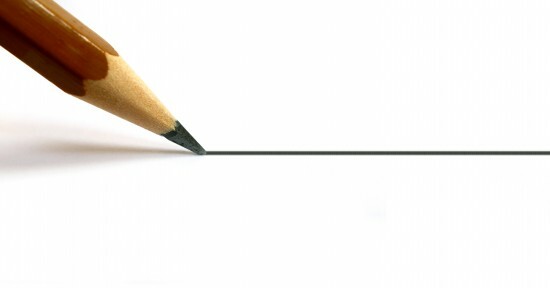 Where do we draw the line on drawing the line? Amongst all the conjecture about the banning of certain items (and certain songs), there are several important, bristling points that must be made, these points being: Where should we draw the line when encroaching on peoples’ liberty? Should we be truly libertarian? Does complete freedom sit at a cultural and moral zenith, above all other values? And finally, what exactly is this freedom that we so often speak of. In more recent history, the West has been keen to implant its ideology on nations which do not share our verve for this virtue. The Cold War was an ideological battle (which saw individualism triumph, rather than collectivism), and the ‘War on Terror’ is another example of the warfare of ideologies – between freedom and oppression. This mighty force has been crushing its adversaries for years, and this is widely accepted as a positive progression. So it should be; we live in an era where possibilities for most are greater than they ever have been before. Nevertheless, we have somehow neglected the idea that perhaps our permissibility is not always a good thing. It is, perhaps, natural to cringe slightly at the idea of prudish moralists banning everything which offends them. However, we must extend our reasoning beyond pure revulsion, and decide whether the prohibition of some things might actually be good for us as individuals as well as for society as a whole. The fear of tyranny all too often blurs the lines of rationality; it is drilled into us that any encroachment on freedom of choice is a bad thing. In other words: you know you want it (freedom, that is), and you don’t want any options moved from beyond your reach. Yet, are all these options good? I’m sure anyone would agree that choosing to do some things rather than others is more/less helpful to yourself and everyone else. Lately, we have seen the banning of Robin Thicke’s ‘Blurred Lines’ from being played at some university campuses, the banning of LAD mags from LUSU shops and other stores across the country, and a debate emerging on whether or not the burqa should be banned in some situations. Those who see liberty as the ideal squirm at these decisions: people should be able to choose what they listen to/read; it is wrong to restrict freedom of expression or religion; we should respect the individuals’ right to wear what he/she wants. This is all very well, those tenets are respectable and proper, but people have to accept that the encouragement of some views or the reading of some material does more harm than good. LAD mags, for example, encourage the objectification of women. A naïve, impressionable young man is granted his freedom to read this, but then may go on to sexually insult women, which encroaches on their ability to live happily. Which is more important, that we guarantee people the choice of offensive magazines to read? Or that we attempt to eradicate sexism and grant people the right to live hassle free? The trouble people have with legislating against and banning certain things is that they see it as a dictatorial step towards autocracy. The idea that one group of people should discern moral truths and seek to impose them on an entire nation is, understandably, frightening. Plurality of views is a mightily important component of modern democracy. However, far from being a parasitical obstruction to freedom, one should view some initiatives as upholding the notion of equality of freedom. A rampant laissez-faire attitude – minimising central/state intrusion, expanding the private sphere – enables the exponential growth of certain ideologies; growth which by no means correlates to the correctness of opinion. Ideas and thoughts which are prejudicial are permissible, though not ideal, in small social circles, but the airing and continuance of these in the public square should, tentatively, be reduced. Admittedly, this is not the only way of dealing with grossly offensive opinions, and, as I have stated previously, banning things can occasionally do more harm than good. Nevertheless, applying limitations is not always such a bad thing. However, to bring me back to the headline of this article, it remains to be seen where we, as a society, can draw the line on drawing the line.